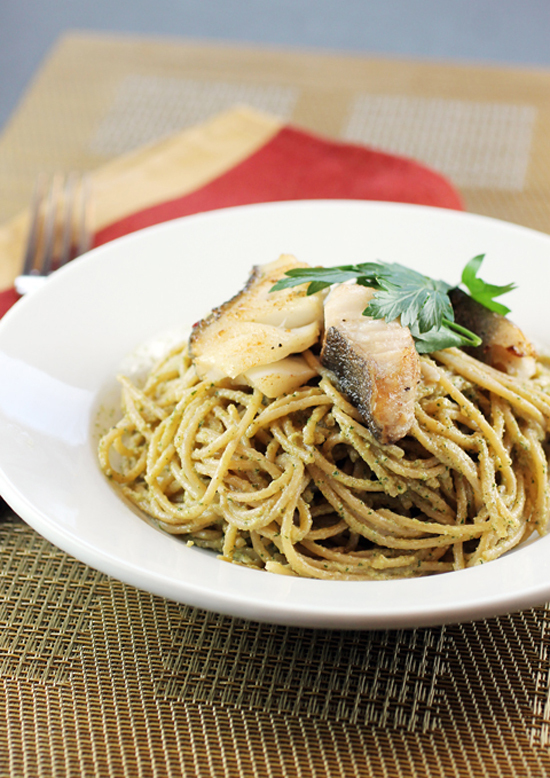 I decided to give this recipe a try to take advantage of a sample of Manila clams delivered from Siren Fish Company, a community supported fishery that works with California and Oregon fishermen. Manila clams delivered to my doorstep from Siren Fish Company. 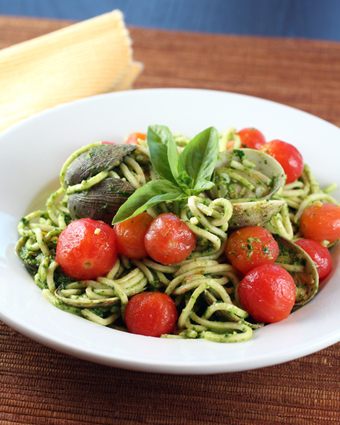 This is a classic preparation with garlic, parsley, olive oil and chili flakes. 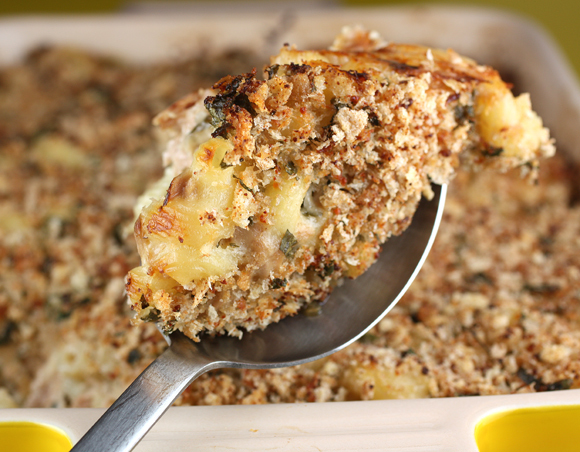 It does add a knob of butter toward the end of cooking to help enrich the sauce, give it a creamy texture, and make it really cling to the noodles. The real genius touch, though, is the gremolata of minced parsley, lemon zest and garlic that’s added just before serving. In much the same way that gremolata adds that final fresh burst of garlic and citrus to give a lift to hearty, heavy osso bucco, it does the same here with this pasta dish. 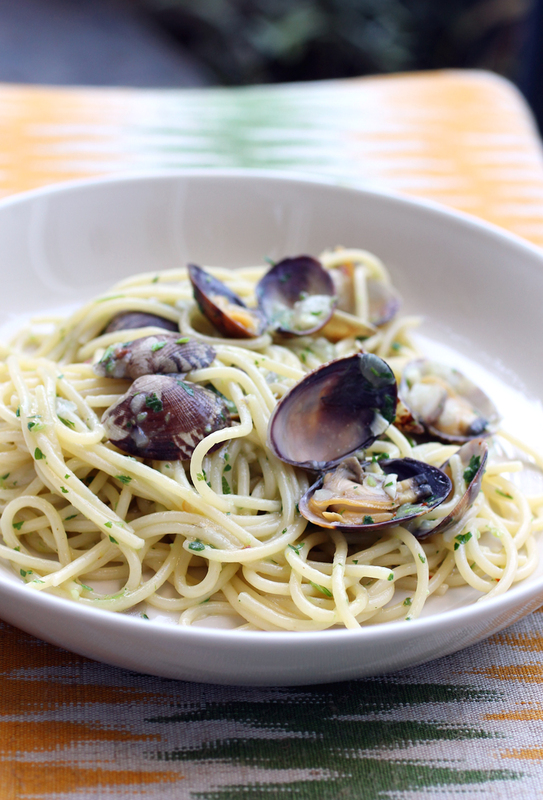 It is spaghetti vongole perfection. Meanwhile, make gremolata: In a food processor, pulse 2 chopped garlic cloves, parsley and lemon zest until evenly combined. Season with salt. Heat remaining garlic and olive oil in a large, lidded saute pan over medium heat. Saute garlic until aromatic but not yet coloring, about 2 minutes. Add onions and saute until translucent, about 4 minutes. Stir in chili flakes. Add spaghetti to boiling water and cook, according to package directions until just shy of al dente. Drain spaghetti, reserving 2 cups pasta water. Meanwhile, lightly season onion mixture with salt. 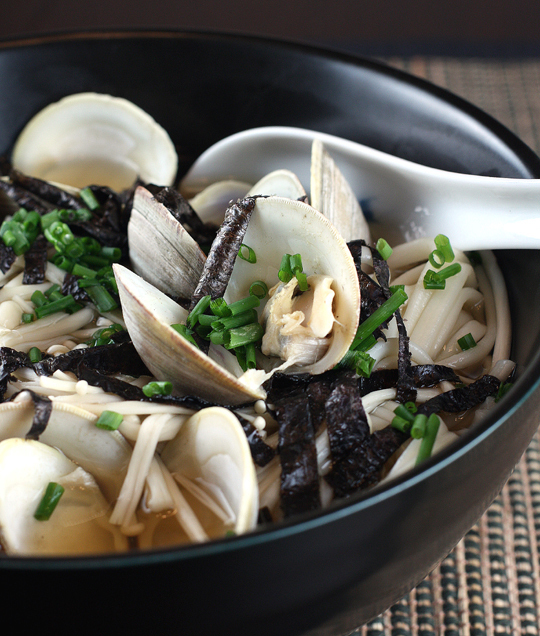 Increase heat to medium-high and add clams. Stir to coat shells and cover pan. Cook until clams just pop open, about 5 minutes. 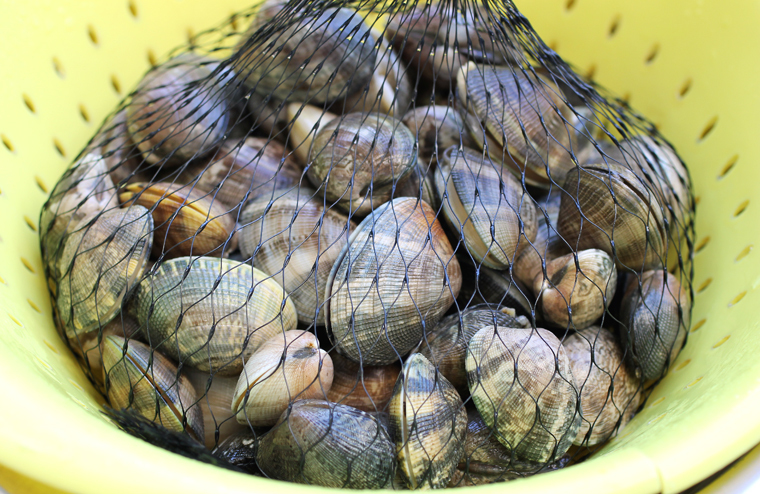 Uncover pan, remove from heat and discard any clams that remain tightly closed. Stir in half of the gremolata. 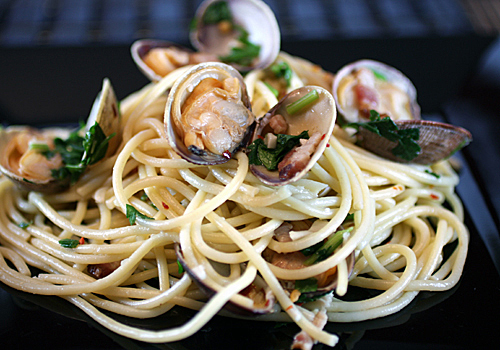 Once spaghetti is boiled and drained, return clams to stove over medium-high heat. 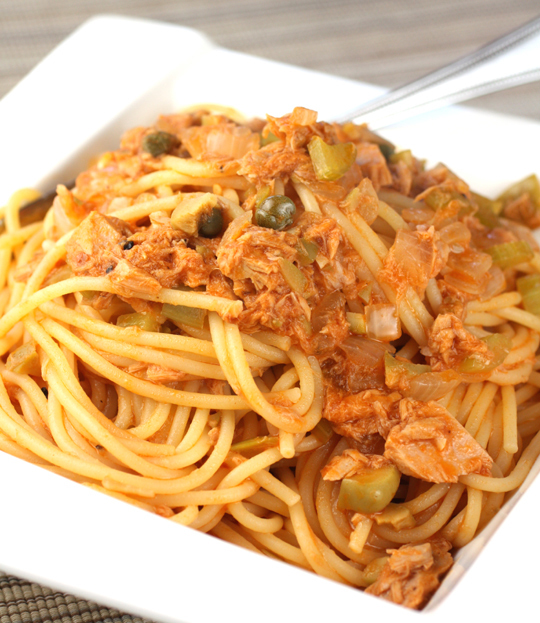 Once hot, add spaghetti, a few splashes reserved pasta water and butter, and toss to form a creamy sauce, about 1 minute. If pan looks dry, add water until sauce coats noodles. Off heat, toss in remaining gremolata and season with lemon juice and salt.